Founded in 1931, the University of Tampa is a private liberal arts college on the Hillsborough River. As I walked up the steps of the grandiose Plant Hall I had the sense I was entering a classy resort because, in fact, I was doing just that! Built nearly 125 years ago, the former Tampa Bay Hotel was designed to surpass all other winter resorts. Today Plant Hall is the main academic and administrative building for this university that serves 6,800 undergraduates; 25% in state, 50% out of state, and 25% international. The Flag Room proudly displays a standing flag for each country with at least 5 graduates from University of Tampa. Students are described as metropolitan, active and independent. Strolling on the popular river walk, I saw the co-eds studying under the trees, on the grass, or at picnic tables. Across the river loom the high rises of the city of Tampa and a bridge provides students easy access to the city nightlife. 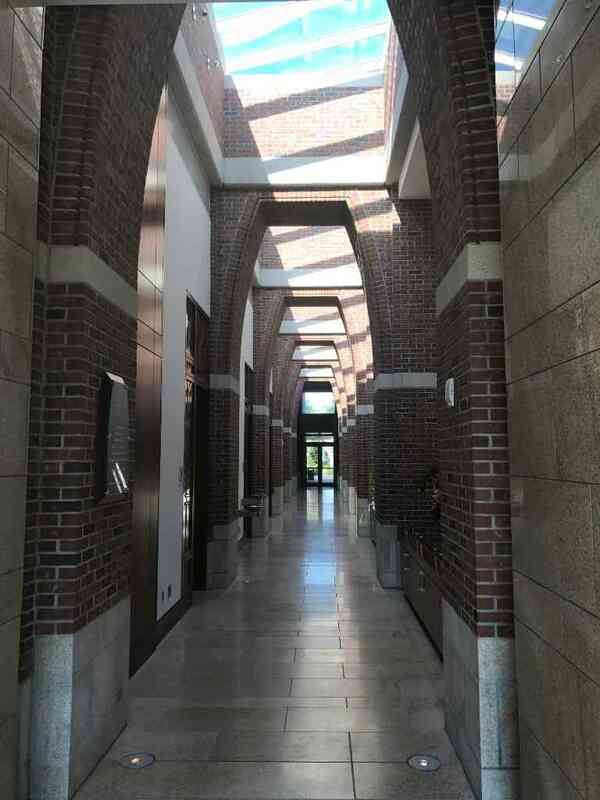 The 110-acre campus is a blend of historic architecture and contemporary development. It’s easily manageable on foot—according to my tour guide, you can be anywhere on campus within 10-15 minutes. Construction of a new baseball stadium is underway next to the recently completed 40,000 square foot fitness center. As I walked the red brick streets, I looked up to see the rising towers of apartment style dorms also under construction. The upscale looking dining options include a 2 story Starbucks—the largest in South Florida—the only Dairy Queen on a college campus, and a sushi bar. The Division II athletics program includes baseball, basketball, swimming, track and golf, as well as many other sports except football. Greek life is growing although there are no houses; about 25% of the student body participates. Two-thirds of the students live on campus in one of 11 spacious residence halls where all rooms include private bathrooms. University of Tampa is organized into four academic colleges. While many freshmen enter without declaring their major, the #1 major is biology—UT’s Marine Science Biology degree is prominent. Students have substantial wet and dry lab facilities and vessel access to the vast resources in the Hillsborough River and Tampa Bay as well as the Gulf of Mexico. For other majors, the UT philosophy “learn by doing” is well-supported by experiential learning environments that include a NY Stock Exchange room, high fidelity mannequins for nursing students, the Daly Innovation and Collaboration facility, and the Shark Tank program at the Center for Entrepreneurship. Internships with undergraduate credits and study abroad programs abound with over 1000 opportunities, according to my tour guide. Study abroad options include a stint at Oxford University, a biology focused trip to Costa Rica, and worldwide travel through Semester at Sea. Although freshmen may not have cars on campus, there is free downtowner transportation making it easy to get to internship jobs. 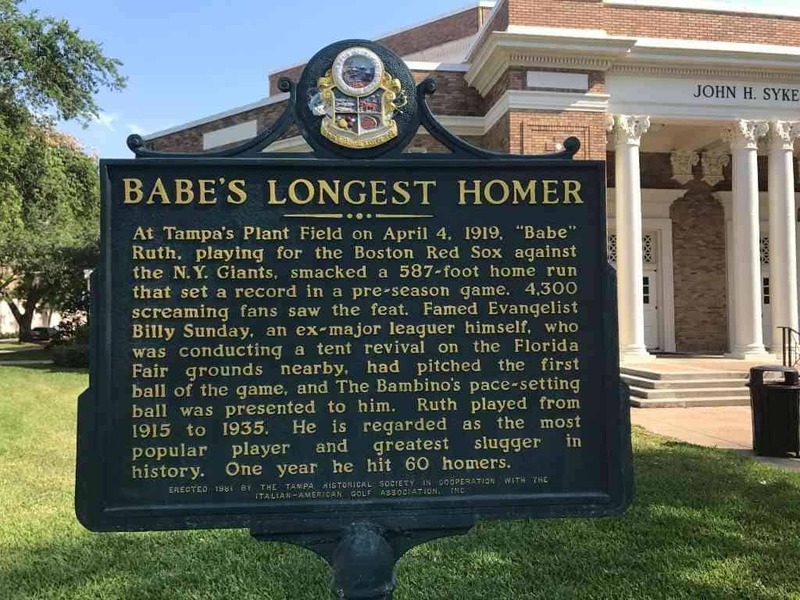 Finally, a fun fact for history and baseball enthusiasts: according to the historic plaque posted near the UT baseball field, Babe Ruth’s longest homer landed there. 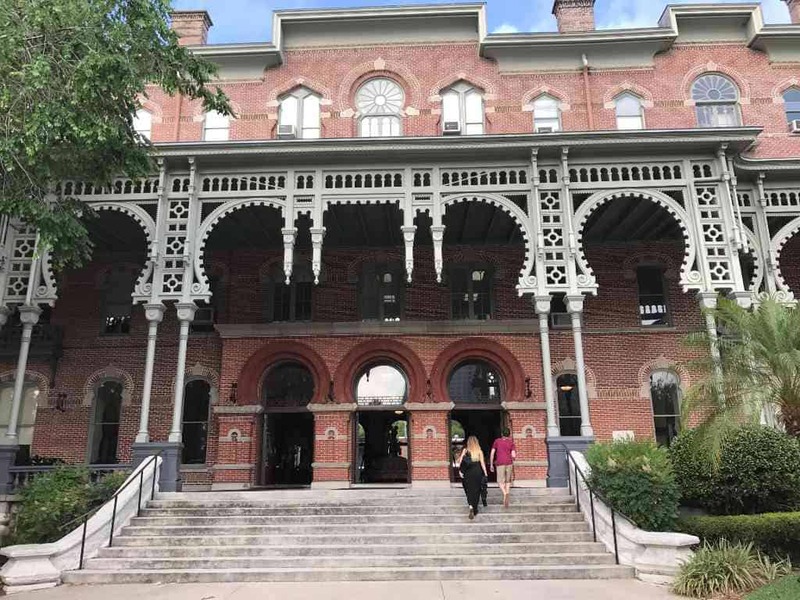 Fay visited University of Tampa in 2017; you can scroll through her photo album below.